The Hohner Marine Band Classic A 20-Tone Harmonica is a 10-hole diatonic harmonica in the key of ‘A’, offering a full, rich tone and broad musical range; this is the number one choice of professional harmonica players worldwide. From the birth of the blues, the Marine Band Classic has been a constant musical fixture. Played by iconic musical figures such as Little Walter, Paul Butterfield, and Bob Dylan, it remains the top choice for the top professional, as well as aspiring musicians around the globe. Relying upon over a century of German craftsmanship and tradition, this harmonica has been universally recognized for its full tone, musical range, and distinctive wood comb. Let your musical expression be a part of the continuing Marine Band legacy. Conceived as a simple instrument for folk songs, the Marine Band Classic has played a vital role in the development of the blues, folk, rock and pop music. 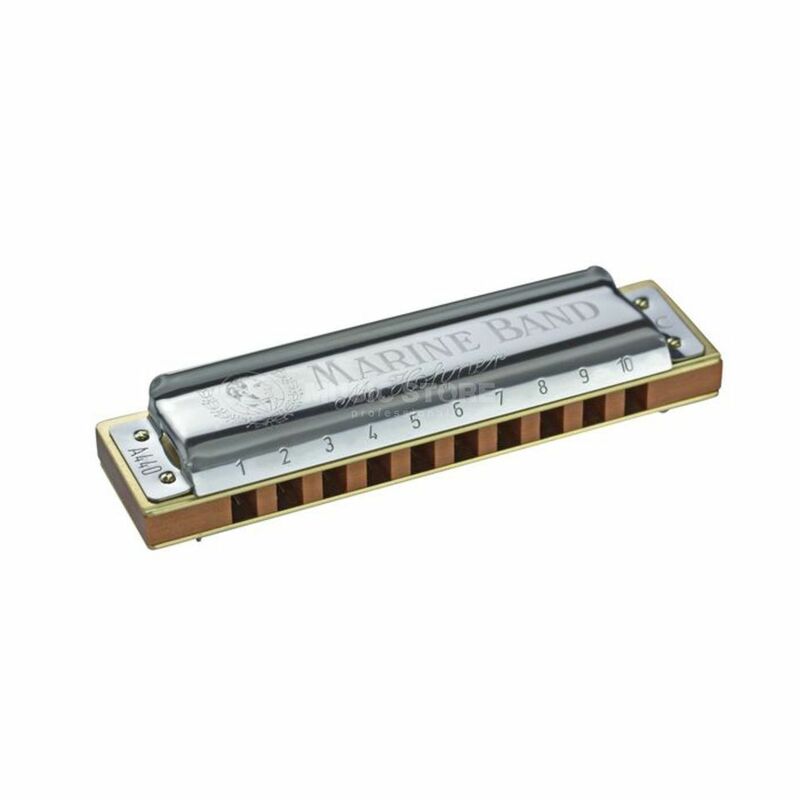 With its inexpensive price and range of playing capability, the Marine Band harmonica rapidly became the people‘s instrument, played in every conceivable location from the back porch to the concert stages of the world, featured in countless hits and film soundtracks and immortalized in literature. This amazing little instrument has shaped modern music and culture.